The Kardinya Tavern is a great local pub, serving delicious meals & weekly events. A Thirsty Camel Bottle Shop with advertised & in-house specials changing weekly. A Bistro with a large alfresco area, exciting weekly Chefs Specials & fresh Salad Bar. 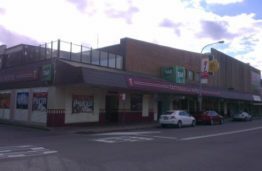 A TAB and Sports Bar with weekday lunch specials, pool tables & heaps of screens, playing all kinds of sporting events. It’s a place to come for a meal with the family, or meet with friends over a few drinks! With a warm & friendly atmosphere, a place where everyone is welcome.